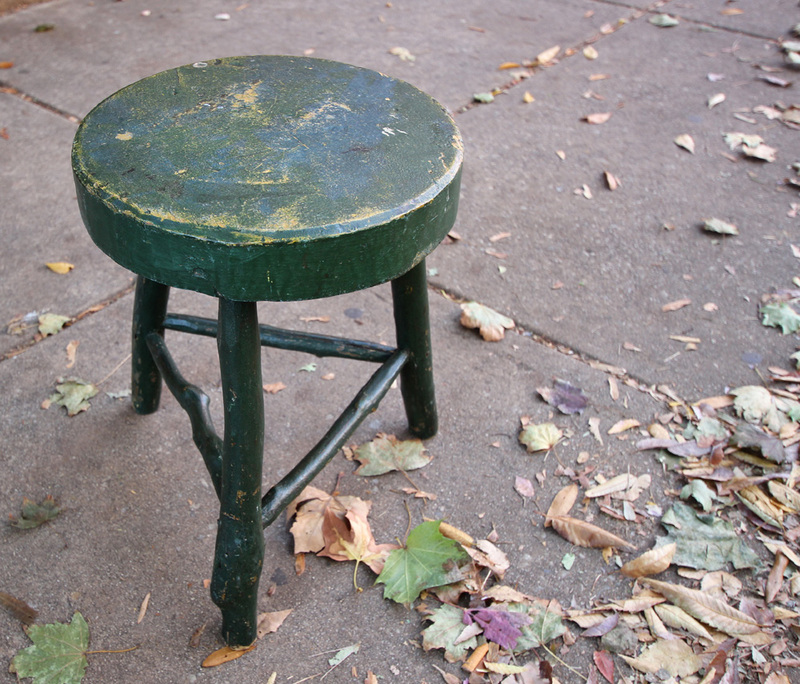 Low, fat tripod stool with a round carved seat and twig legs and stretchers, original green paint, American, circa 1890. Could be used as a stool for sitting or a small table. Very sturdy.